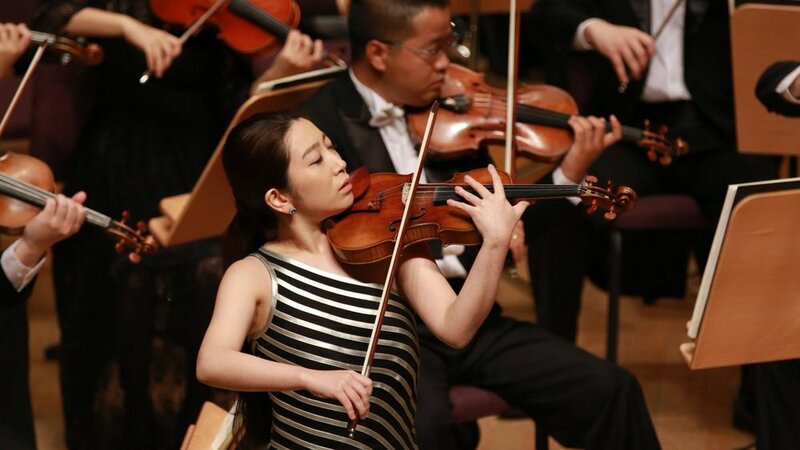 The success of the 2016 Shanghai Isaac Stern International Violin Competition created a buzz around the world, and, for the first time, demonstrated that a Chinese music competition is no less sophisticated than any other at a global level. The Organisation Committee held a press conference in September 2017 to announce that the second edition of the competition will take place August 8th – September 1st, 2018 in Shanghai. Co-chaired by conductor David Stern, son of Isaac Stern, and Professor Vera Tsu Weiling who has sat on the judging panels of many leading international violin competitions, the Jury Committee is assembled and expanded by two additional members and feature a star-studded lineup of pedagogues, violinists and industry leaders. The illustrious panel of judges will evaluate the contestants in a variety of ways including virtuosity, musical personality, performing experiences and more. The level of difficulty of the repertoire was among the most discussed topics in the last competition for which the contestants prepared as much as four hours of repertoire, a challenging requirement that is rare in any international competitions of its kind. The repertoire of this second edition implies a greater focus on the grasp and understanding of the musical spirit than merely performers’ technique, encouraging them to evolve from ‘soloists’ to ‘musicians’. Hence, a repertoire of less technical pieces and more diversified music styles and forms to inspire performers’ versatility. The Semi-Finals will still feature a chamber music round consisting of three sections – the string quartet in which contestants will perform as the first violinist with Yi-Wen Jiang, Honggang Li and Nicholas Tzavaras from the Shanghai Quartet; sonatas and Kreisler’s works; and Mozart concerto with originally improvised cadenza. In addition to a concerto as is conventional in competitions, the Final Round will also include a Chinese work to increase the difficulty. A special plan for the Chinese work of the 2018 Competition, Shanghai Symphony Orchestra will, in cooperation with Beijing Music Festival, Melbourne Symphony Orchestra, Orchestre National du Capitole de Toulouse and New Jersey Symphony Orchestra, co-commission the new violin concerto La Joie de la Souffrance by the renowned Chinese composer Qigang Chen. According to Chen, this work, embracing both eastern and western cultures and diving in-depth into the meaning of life, poses a great challenge to performers’ ability to analyze and understand music. By tapping into the global influence of the Competition, Chinese works will have a chance to reach a wider audience faster. This also embodies the concept of creating the Chinese work section is a more effective approach to communicate the Chinese culture with the rest of the world, the idea proposed by Long Yu, President of the Organisation Committee, during the initial stage of the establishment of the competition. Besides the largest monetary prize of USD $100,000 presented to the champion, the competition goes to great effort to help ‘soloists’ become ‘musicians’ on their road to professional musicianship. Whereas the comprehensive competition process is one aspect of true tests of performers’ artistry, the Stern Competition will also use the unique platform and well-established influence of Shanghai Symphony Orchestra to introduce the winners to world-class agencies and to facilitate collaborations with top-level national and international orchestras. The first competition saw its partnerships with Shanghai Symphony Orchestra, China Philharmonic Orchestra, Guangzhou Symphony Orchestra, Melbourne Symphony Orchestra and Sydney Symphony Orchestra, paving the way to professionalism and encouraging winners to embrace their artistic dreams by arranging performance contracts, album recording and introductions to music agencies. Following the last competition, some of the winners returned to Shanghai, the city where they have triumphed, to perform with Shanghai Symphony Orchestra at the New Year’s concert and Season’s concert respectively. During the periods, the Administration Office of the competition has created on and offline campaigns for them that have resulted in interactions with more than ten thousand audience members. Furthermore, Guangzhou Symphony Orchestra, Sydney Symphony Orchestra, Melbourne Symphony Orchestra and Beijing Music Festival etc. have offered the performance opportunities to the winners. For instance, Mayu Kishima performed with the conductor Jing Huan and Guangzhou Symphony Orchestra at its Season’s concert; Stefan Tarara with the conductor Long Yu and Shanghai Symphony Orchestra in Tirol, Austria, one of the stops of SSO’s 2017 Europe Tour, not to mention their active schedules with competition’s partnering orchestras’ performances up to 2018-19 season. There is a reason to believe that the Stern Competition is not only a competition to them but also an unforgettable experience along their path of music. Full fairness and transparency will carry on – the contestants should clarify if there is any immediate family or pupil relationship with any jury member upon arrival. "Pupil" is defined as a contestant who has had three or more lessons with the jury member in question in the 6 months prior to the on-site registration date. The Organisation Committee will also release all scores during the competition. The 2018 competition will once again seek nominations for the Isaac Stern Award – Human Spirit Award, a recognition to any individuals from all around the world who have made an outstanding contribution to humanity through the medium of music.